Hummer H2 is among the top limo hire choices, which offers to provide you with vintage class and sophistication. Any type of special gathering or occasion would be made more memorable with this type of limousine making it truly ideal for those who wish to have a blast when partying at night. 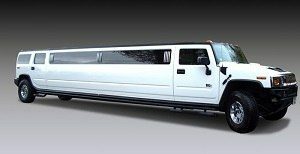 At Fast Limo Hire, we can offer you a Hummer H2 for hire at affordable prices. This has always been the crowning selection of several famous celebrities because it provides an eye-grabbing and attention catching service which will surely make everybody turn and focus as the Hummer arrives. You will be the main attraction at that particular moment, making you the centre of all attention. Why choose the Hummer H2? It is the perfect choice if you want to travel in ravishment and star quality and it brings a touch of both on any special event be it for a birthday party, a hen night or a school prom. If you wish to travel with a large group, the Hummer H2 should be on top of your list, it accommodates up to 16 people. Aside from that, you get to make use of the large storage space in the boot where you can place all your bags making it suitable as a mode of transport for an overnight trip or a weekend getaway. You can enjoy the sky’s view and the air’s cool breeze by opening the moonroof. You can also enjoy an exciting movie or start partying with the song of choice. There is an open line of communication with the chauffeur and window divider, which allows you to maintain your privacy. You can enjoy the journey without getting distracted. You can even set the mood on the hummer’s interior through its customised lighting. Finally, you’ll get to enjoy a well rounded up drinks which will really get the mood going and the party started. Choose this ravishing Hummer H2 for hire – call our customer service team at Fast Limo Hire now on 020 3006 2092 for more details.